DSS checked allegations in 2002 that Erica was abused "The person who reported the case to DSS said Casey Parsons carried a belt with her and had whipped Erica." --- . "The legal documents obtained by Eyewitness News show that the Department of Social Services was investigating allegations that Erica had been abused in the home in 2002, when she was only 2 years old. In March of 2002, documents show that DSS investigated a report that Erica had been hit with a belt, leaving bruises. The person who reported the case to DSS said Casey Parsons carried a belt with her and had whipped Erica." 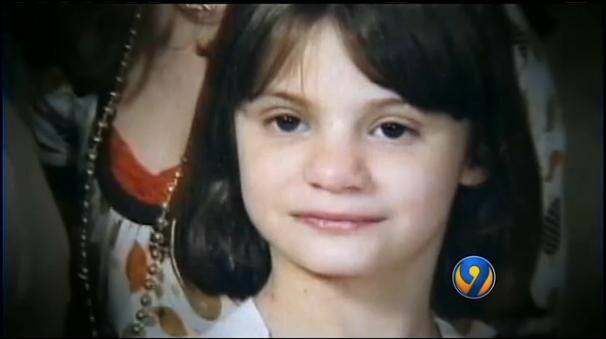 "In a DSS interview, Casey Parsons denied abusing her children and the investigator noted that Erica did not seem to be afraid of either of her parents, sitting on their laps without hesitation. 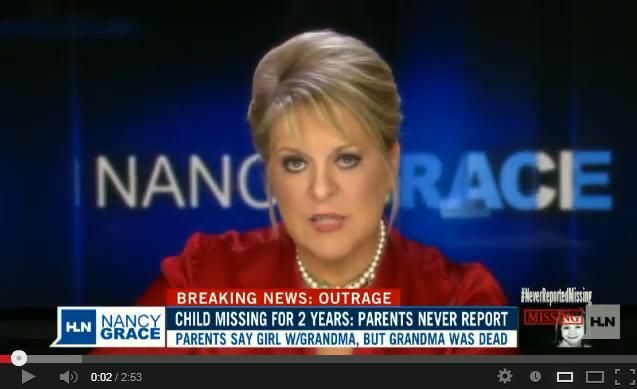 The DSS worker also said they found no signs of cuts, bruises or scratches on the girl." 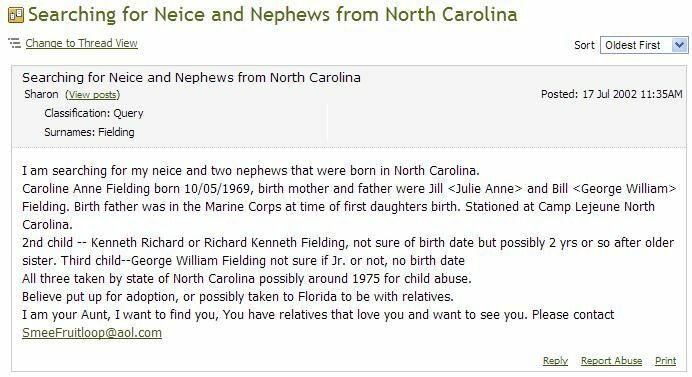 I am searching for my neice and two nephews that were born in North Carolina. Caroline Anne Fielding born 10/05/1969, birth mother and father were Jill (Julie Anne) and Bill Fielding. Birth father was in the Marine Corps at time of first daughters birth. Stationed at Camp Lejeune North Carolina. All three taken by state of North Carolina possibly around 1975 for child abuse. Believe put up for adoption, or possibly taken to Florida to be with relatives.